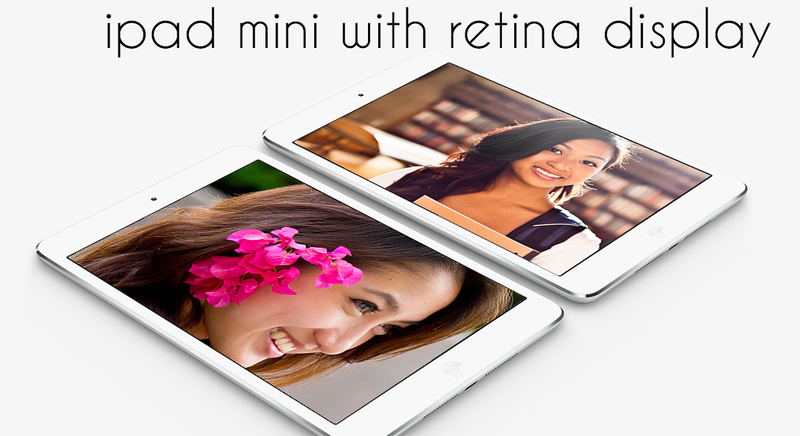 Apple’s iPad Air, Retina iPad mini is coming to India on Dec 7. Apple has released the iPad Mini with Retina Display last month on its official online store. The iPad mini with Retina display was then available only in Australia, Austria, Belgium, Canada, China, Czech Republic, Denmark, Finland, France, Germany, Hong Kong, Hungary, Ireland, Italy, Japan, Luxembourg, Netherlands, Norway, Poland, Portugal, Singapore, Spain, Sweden, Switzerland, UK and US. But now after a wait of over a month, Apple has released the launch date of its iPad Air and iPad mini with Retina Display for the Indian mobile market too. The price of iPad Mini with 16 GB Wi-Fi has been tagged at Rs 28,900 and the price of 16GB Wi-Fi enables iPad Air will be available for Rs 35,900 in India. The iPad Air features 5 MP auto focus rear camera and 1.2MP front facing camera with 9.7 inch retina display. Additionally it features 1GB of RAM also. iPad Mini with retina display has a screen measuring 7.9 inch, running on the latest version of the Operating System, iOS 7. It also features a 5MP rear camera and 1.2MP front facing camera. According to Apple – The new iPad mini comes with two antennas to support MIMO (multiple-input multiple-output) for up to twice as fast 802.11n Wi-Fi. The Wi-Fi + Cellular model comes with more LTE bands to support more 4G LTE networks. iPad Mini is a powerful device with near about 10 hrs of battery life. It is thin, light with excellent retina display.